Hydraulic bolting tools specialist Enerpac has introduced a new portfolio of hydraulic bolt tensioners for critical offshore wind power generation fastening applications. The three new bolt tensioner series are designed for maximum durability in harsh environments, ease of use and improved speed of operation. The PGT-Series Double Deck and Single-Stage bolt tensioners provide high performance in tight spaces typically found in wind turbines. Key features including auto-retract pistons, over-stroke protection and auto-engage nut rundown help to make the bolt tensioners fast, durable and easy to use. The FTE-Series Elliptical Foundation bolt tensioners provide an ideal fastening solution on wind tower foundation applications where limited space between the stud and wall prevent the use of standard tools. They feature an elliptical geometry, which enables fit in narrow access foundation applications without reducing load capabilities. FTE-Series bolt tensioners make the perfect ‘universal solution’ that will work on nearly any foundation application, whether standard or narrow access. 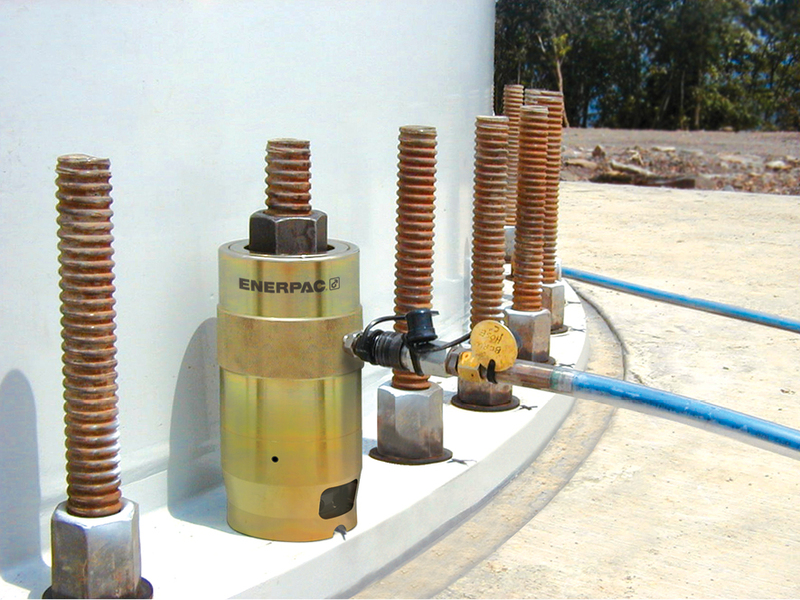 “Enerpac bolt tensioners are used in some of the most demanding industrial environments imaginable. Our offshore wind bolt tensioners combine precision with ruggedness to give installation engineers a reliable and long-lasting bolt tensioning solution, says the company’s Maarten Franken.